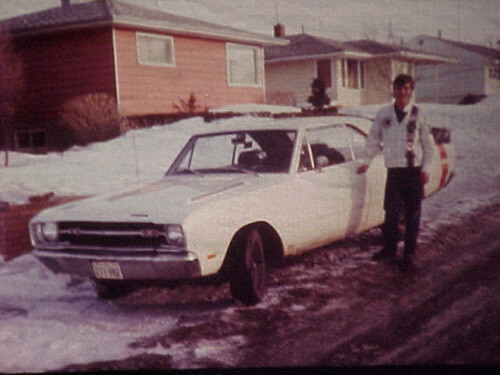 On June 26 of that same year, Jan went to Regina to pick up his new dart. 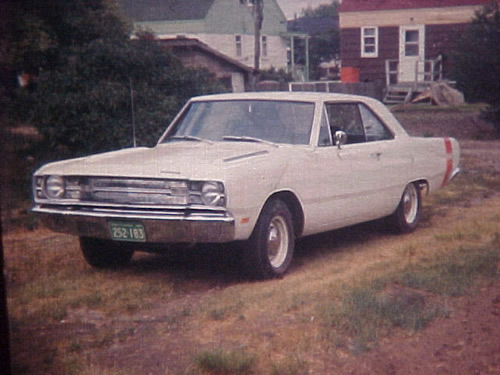 Following the recommendations of Chrysler he drove the car gingerly, making sure to break in the motor properly. He took the photos below shortly after arriving home. 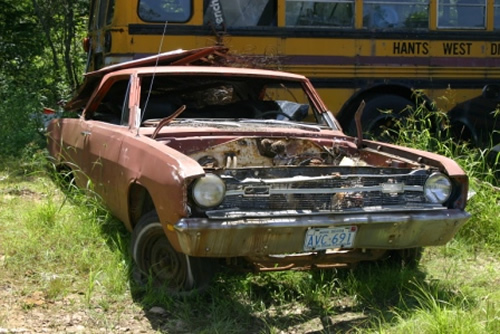 The car's innocent appearance and stock motor did not remain that way for very long. Jan had plans for the car. 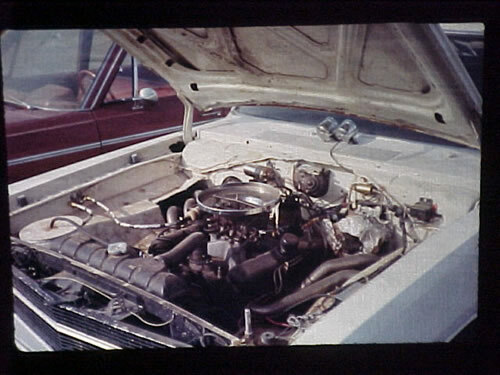 The high-winding 340 was born for street and drag racing. 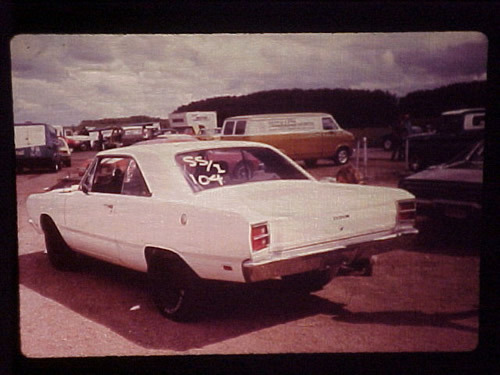 Jan raced this car for several years at many tracks in Western Canada. 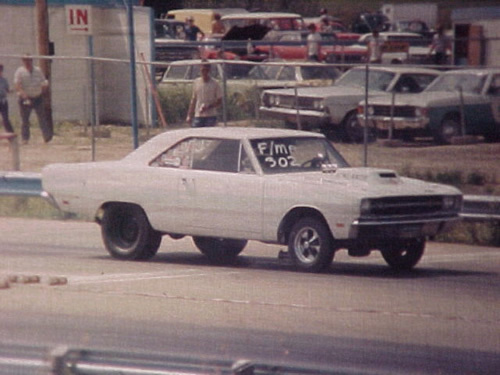 Over the years the car would see many different motor combinations and eventually run a best of 12.96 @ 105 mph at Saskatchewan International Raceway. 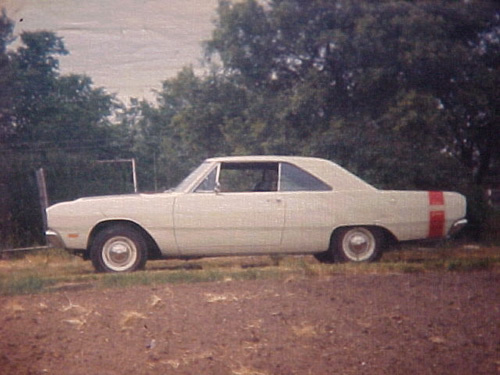 By the late 1970's Jan had a family and the "need for speed" was replaced with a need for 4-doors. The dart was no longer a great source of transportation for the kids and the family pet. The car was sold to an Air Force employee and sat at the local Air Force base for several years. In the early 1980's the car disappeared from it's usual resting place. That was the last time Jan saw the car. 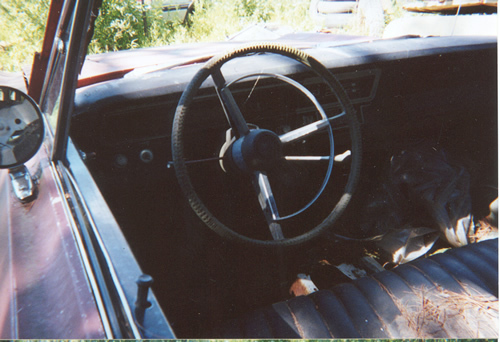 Several times during the the next 20 years Jan attempted to track the car's location with no luck. Eventually, Jan was content with the thought the car was crushed and therefore stopped trying to find it. Although noticeably different from when JD owned the car, the VIN tag matches and the cuts in the inner fenders identically match JD's old photos. 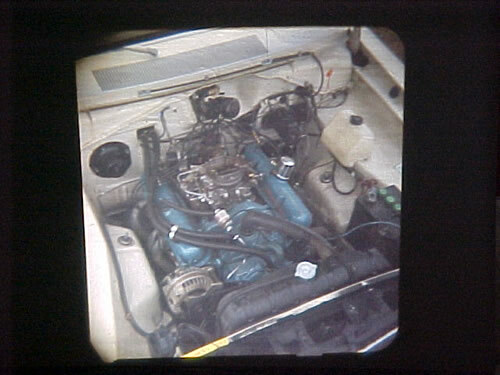 As far as we know the 340 is still in place under the hood. During the summer of 2006 I had a chance to see the car in person. Unfortunately, the harsh East Coast weather had reduced the cars overall condition even further. 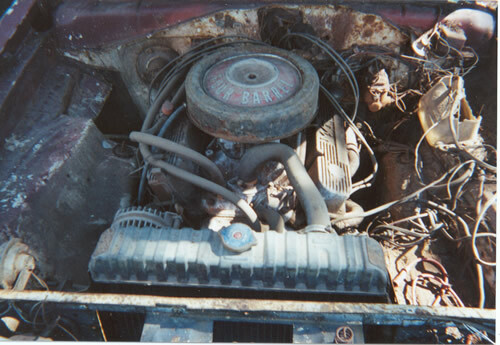 The motor had been removed and safely stored in a barn. 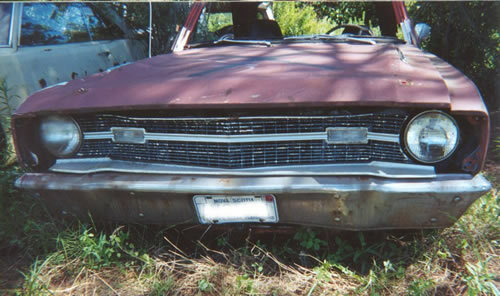 Sadly, the general condition of the vehicle makes it not worth fixing. Jan was presented with a few keepsake items following the trip.